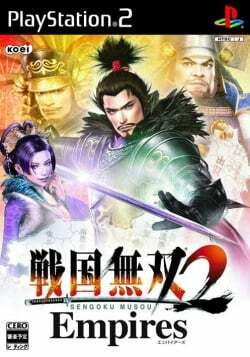 Game description: Samurai Warriors 2 Empires, the much-anticipated followup to the Tactical Action game Samurai Warriors 2 combines the most exciting aspects of Action, Fighting and Strategy games. Japan is divided into 25 warring states and it is up to you to resurrect a nation using equal amounts of strategy and strength! Before each battle, you will meet with their war council to discuss military and political affairs; then it's time for combat. Samurai Warriors 2 Empires is a tantalizing blend of strategy and true warrior action. This page was last edited on 18 February 2017, at 18:05.